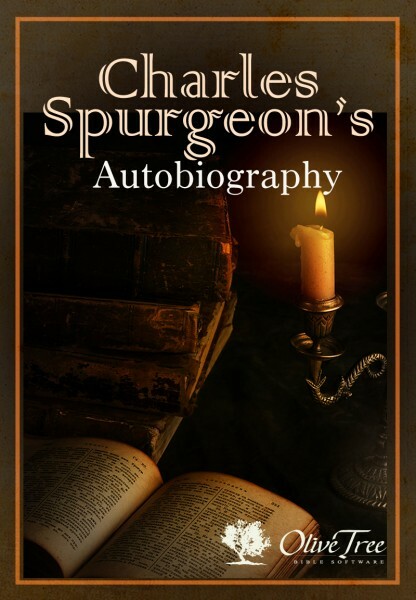 This biography on Charles Haddon Spurgeon's life is extensively compiled from Spurgeon's own writing, including his diary, letters, and personal writings and records. This four volume set was created and edited by Charles Spurgeon's wife, Susannah Spurgeon, and Spurgeon's private secretary, Joseph W. Harrald. Volume One covers the years 1834-1854, with details on his grandparents, early life, salvation, copies of his original outlines ("skeletons" as he called them), early efforts at soul winning and preaching, up to his early days in London at New Park Street Chapel. Volume Two covers the years 1854-1860, with details of his love, courtship and marriage, early criticism and slanders, first literary friends, new school of the prophets, beginning of the Tabernacle, and his first printed works. Volume Three covers the years 1856-1878, beginning with the opening of the Tabernacle, his review of both Deacons and Elders, foreign travel, Pastor's College, including letters between pastor and church, showing their great love for one another. Volume Four covers the years 1878-1892, dealing with the Spurgeon's 25th wedding anniversary, enquirers and converts, a "typical week's work," the "Down-Grade" controversy, his last letters, long illness, and death.